We’re giving you a reason to celebrate because Mondays Made Better is back! Discover your new favorite with the featured Original Ice Blended® available for only Php100 every Monday, from April 10 to June 5, 2017. Share with us how you plan to celebrate the day with an Ice Blended® by posting a creative photo on Instagram or Facebook. 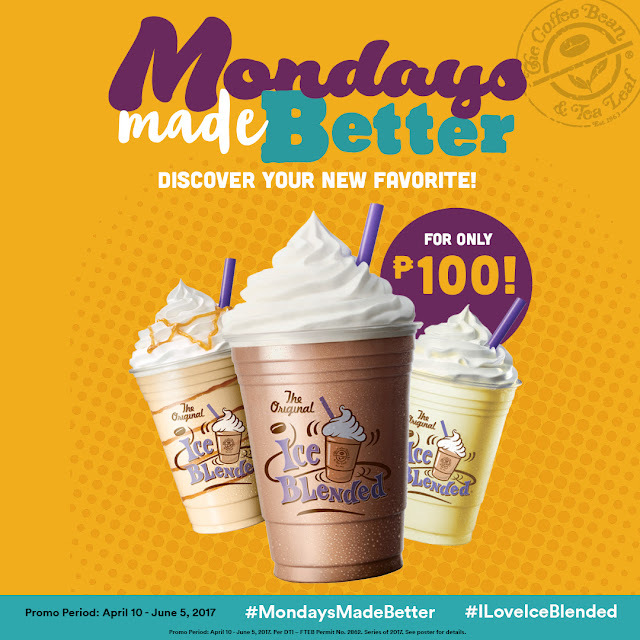 Don't forget to add the hashtags #MondaysMadeBetter and #ILoveIceBlended, and get the chance to win Php1000 worth of gift certificates weekly. You may also double your Swirl Rewards Card points when you buy the featured Ice Blended® of the week! We’re kicking things off with the Mocha Ice Blended® on April 10. See you at the store! 3-DAY Combo Promo at #BBCEBU!